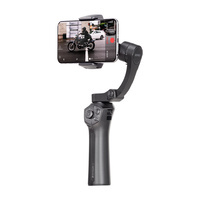 Introducing Benro's new Reddog R1 Handheld Gimbal Stabiliser. 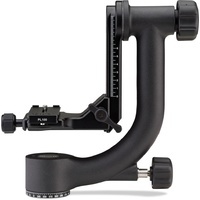 This features a unique patented single hand swivel handle, to be used either as a standard upright gimbal, or an innovative "carry" low angle mode, giving you ultra low shots without straining wrists in the process. There's a mode button that can choose between the two modes - Upright Mode is suited for high to medium angle shooting, or the mentioned Carry mode. The innovative design is built with precise CNC machining & anodized surfaces for unbelieveable quality. It is extremely flexible - The Reddog R1 has full follow, full lock, horizontal follow & roll follow modes, and when folded for either backpack storage or for cramped environments, expect ultra stable shots, with lightning fast resonse times (6ms) for smooth tracking control. A 3200mAh battery means you can have super stable shots for up to 13 hours, guaranteed to give you the opportunity to record the images you desire all day long. Upgrading the firmware of the device is straightforward, with the touch of one button. A companion smartphone app allows for easy cailbration, remote operation, or for breathtaking time lapses with dynamic motion. The Benro Reddog R1 is a great way to boost the production value of your filming while on the go. 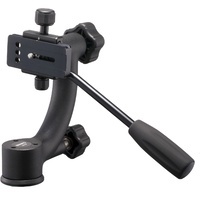 For the price, it's an excellent gimbal stabiliser. There's some nitpicks but it's a great piece of kit.